Social reintegration is the ultimate aim of all rehabilitation programs. 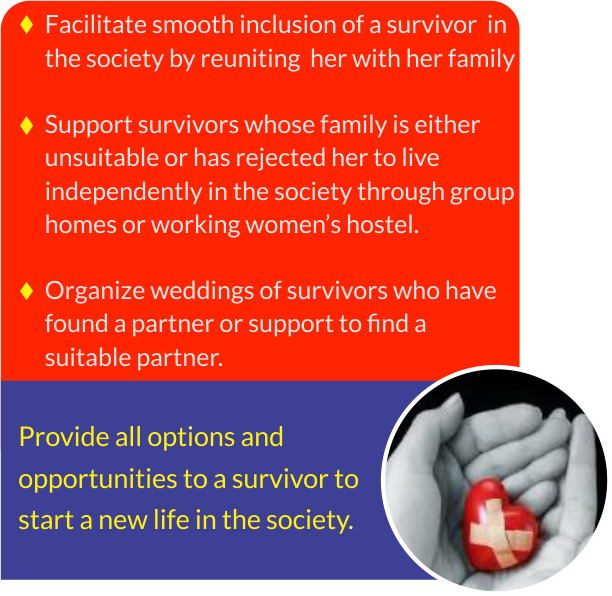 Preparations for it is built at the entry level itself with every step moving towards preparing the survivor for a life outside.Reintegration consists of the survivor being able to live in the mainstream world with dignity. Most victims who have come to Prajwala for support are survivors today living and adjusting in the normal mainstream society. Many girls have found partners for themselves, many are living on their own and some of them have been effectively reunited to their families. 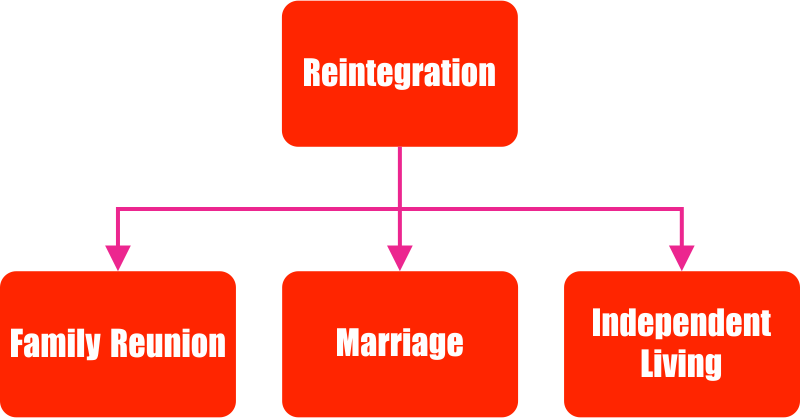 The process of reintegration is a long and tedious one and filled with a lot of difficulties. Sometimes in spite of all the efforts there have been instances of re-trafficking.Strategies for reintegration are ever-evolving and today the organization has a better success rate than two decades back. Prajwala has explored three primary forms of reintegration: family reunion, marriage and independent living.